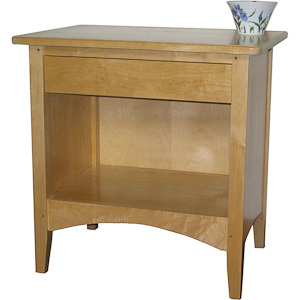 The Portland Nightstand with the sturdy tapered legs has elliptical curved sides and front details at the bottom. The Oak model shown has a single shelf and drawer. Optionally a three-drawer model or a single drawer with a door on the lower compartment is available for the same price.